The global fire resistant fabrics market was valued at USD 5.2 billion in 2017 and is anticipated to grow at a CAGR of 6.4% during the forecast period. Fire resistant fabrics are developed to sustain exposure to fire while providing protection and safety against fire to the user. Treated fire resistant fabrics offer fire resistance properties owing to application of flame-retardant chemicals. The fabric becomes flame resistant owing of the chemical treatment of fibers. Inherently flame resistant fibers are materials that have flame resistance built into their chemical structures. Inherently fire resistant fabrics are majorly used in home furnishings. These fabrics can also be used in tents, health care fabrics, drapes, tarps, military applications, awnings, banners, and signs. Fire resistant fabrics are used by personnel in defense and military, emergency services, hospitals, manufacturing, oil and gas, mining, and space exploration among others. The Fire Resistant Fabrics market is driven by factors such as increasing concerns regarding safety of the workforce, and stringent government regulations concerning workplace safety. Fire Resistant Fabrics are used in various industries such as construction, oil and gas, and mining among others, thereby boosting the fire resistant market growth. There has been an increasing demand for use in public spaces such as theaters, school and auditoriums. Increasing use of Fire Resistant Fabrics for fire hazards, and use in firefighting uniform supports the Fire Resistant Fabrics market growth. Increasing investments by governments all across the world for improvement of safety and increasing need to provide workplace safety offers growth opportunities for the Fire Resistant Fabrics market. Increasing demand for Fire Resistant Fabrics in home and commercial furnishing contributes significantly to the overall market growth. The global Fire Resistant Fabrics market is segmented on the basis of type, application, end-user, and region. The Fire Resistant Fabrics market report segments the type into inherent fire resistant fabrics, and treated fire resistant fabrics. The treated fire resistant fabrics segment accounted for the highest market share in 2018. The rising demand for treated fire resistant fabrics from defense, automotive, and oil and gas applications boost the growth of this fire resistant fabrics market segment. The application segment is divided into apparel, and non-apparel. The apparel fire resistant fabrics segment accounted for the highest market share in 2018. Fire resistant apparel is used in dangerous and unsafe work environments such as battlefields, mining sites, chemically hazardous areas, and healthcare centers among others. This apparel enables users to avoid risks and reduce the number of work accidents. The Fire Resistant Fabrics market report segments the end-user into aerospace and defense, manufacturing and construction, mining, oil and gas, emergency services, and others. The demand from the manufacturing and construction segment is expected to increase during the forecast period owing to high-risk working environments and stringent government regulation regarding workplace safety. 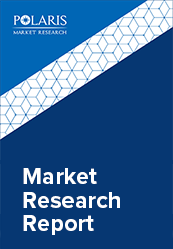 This report comprises a detailed geographic analysis of the Fire Resistant Fabrics market across North America, Europe, Asia-Pacific, Latin America, and MEA. North America is further segmented into U.S., Canada, and Mexico. Europe is divided into Germany, UK, Italy, France, and Rest of Europe. Asia-Pacific is bifurcated into China, India, Japan, and Rest of Asia-Pacific. Asia-Pacific is expected to grow at a significant rate during the forecast period due to growing industrialization and growth in manufacturing industries. Rising demand from healthcare, mining, and chemical industries would supplement the Fire Resistant Fabrics Industry growth in the region. 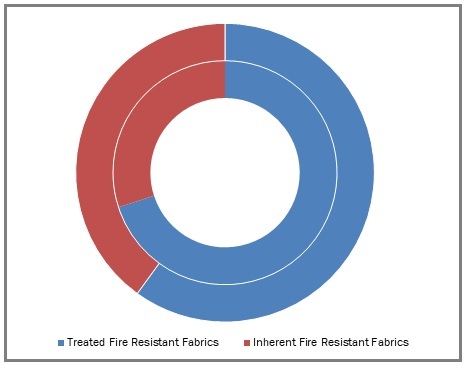 The leading players in the Fire Resistant Fabrics market include Huntsman International LLC, PBI Fibers International, Teijin Limited, E. I. Dupont De Nemours and Company, Royal Tencate N.V., Gun Ei Chemical Industry Co., Ltd., Solvay S.A., Kaneka Corporation, Lenzing AG, and Newtex Industries, Inc. among others. These leading players are introducing innovative products in the Fire Resistant Fabrics market to cater to the growing demand for consumers. Global players are entering new markets in developing regions to expand their customer base, strengthen market presence, and increase their market share.